Farm Market offering fresh produce, local artisans, live music, face painting and baked goods. 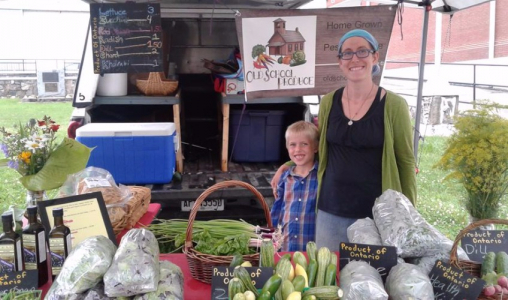 Local vendors offering PEI's freshest and finest! Worth the drive! Open June 16 to September 29. Located inside Confederation Centre cultural complex, Mavor’s is a stylish restaurant whose chic décor recalls its artsy setting. Mavor’s is a favourite haven for those seeking a quick lunch, an elegant dinner, a glass of wine or a night on the town. Home to Charlottetown’s most charming outdoor courtyard. Redwater Rustic Grille in downtown Charlottetown offers a casual upscale dining experience. Our concept is Chef driven and Sommelier inspired. Our market driven menu is a fresh interpretation of contemporary cuisine with signature dishes and innovative creations. Our goal is to provide a memorable dining experience that is of value to our guests. Come discover something new at our certified organic produce farm. A selection of our fruits, herbs & vegetables is available to enhance your culinary adventures. Our seasonal farm stand is conveniently located on the Points East Costal Drive 1.5km west of North Lake harbour fishing village. We look forward to meeting you.